Worried about the fallout from marijuana that doesn’t meet state requirements? Preventive measures such as investments in infrastructure and increased vigilance in cultivation operations can help growers stave off costly catastrophes. Such moves can also save the bottom line. Jerry Velarde, president of Evergreen Organix in Nevada, can attest to that. His company grows and processes cannabis and produces edibles and other products. But during Evergreen Organix’s first growing season, roughly 130 pounds of product failed state testing. “That mistake cost well over $3 million in capital,” Velarde said, ticking off expenses that included lost product and labor and operations. 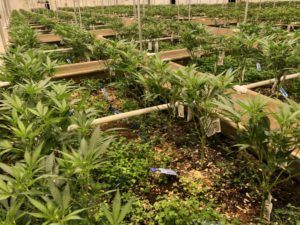 After the setback, Velarde chalked up losses to winter humidity, too few dehumidification units in his grow and a cultivation team that was unprepared to manage the size of the facility – factors that could have been combatted with a different strategy. He overhauled his cultivation team, converted his grow from deep-water culture to no-till permaculture soil and put safeguards in place to avoid future failed tests.